searchmain menuMedia CoveragePets & Disasters! 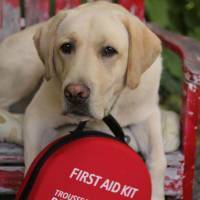 In the event of an emergency or disaster, what would happen to your pet? In the event of an emergency - fire, flood, earthquake or some other disaster - what would happen to your pet? What if you had to move out of your home for a few days, or worse, several weeks? Would you stay, refusing to leave your pet behind? Would you leave food and water and hope to return home after the evacuation and find them safe? Or would you leave home with your pet to hopefully find some assistance within the community? These were some of the difficult choices New Orleans residents faced with Hurricane Katrina. That disaster revealed a huge gap in emergency preparedness (EP) planning, not only in New Orleans, but also across the world. Lots of thought had gone into responding to the needs of people, but little for their pets. 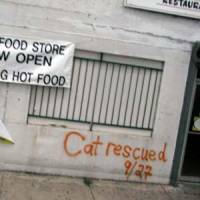 During the Katrina disaster, officials found many New Orleans residents were reluctant to leave their homes without their beloved pets, putting both themselves and their animals at great risk. It was a harsh way for emergency planners to learn a difficult lesson. When most Capital Region residents think of a disaster, the feared 'big earthquake' comes to mind. Yet, the majority of disasters are localized within a small area and residents are often given warning of the impending disaster. We are put “on alert” to be ready to evacuate. Leaving your home as a fire approaches or floodwaters rise is not the time to be thinking through what you need to take. Emergency preparedness is all about assembling priority information and goods now so all that is required during the emergency is getting your 'Grab & Go' kit. providing more detailed information about pet preparedness. It isn´t just the safety and well being of your pet that should be the driving force, but also recognition that your advance work will greatly reduce the emotional trauma in what will already be a bewildering experience for any animal. In a localized, small scale disaster, the EP program may set up a Reception Centre where your needs will be documented and met. For those needing accommodation, food and/or clothing, assistance will be provided for up to 72 hours, subject to approval by Emergency Management BC. Generally, shelter will be provided in hotel rooms whenever possible and for those with pets, hotels which accommodate pets will be utilized. Additionally, some local veterinary practices have indicated a willingness to take in animals during a disaster. In both these instances, any extra costs associated with providing shelter for your pet will be your financial responsibility, as well as the provision of food and any other care needs. In a larger scale disaster or a widespread disaster occurring without warning, there will be large numbers of people seeking assistance, undoubtedly overwhelming normal resources. Once existing accommodations run out, EP programs will set up group lodging facilities for residents and a separate shelter for pets. 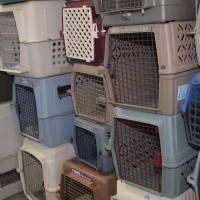 Pet owners will be expected to provide a crate or cage for each pet, along with food and medication. 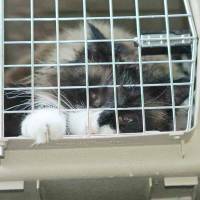 The ongoing care needs of the pet - feeding, exercising, cleaning cages - will also be the responsibility of the pet owner. 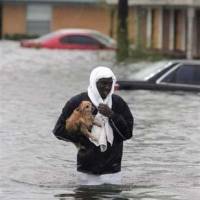 The handling of stray dogs and cats found wandering after a disaster will be the responsibility of the SPCA, the Canadian Disaster Animal Response Team (CDART) and other agencies. For those with large animals (e.g. horses) and farm animals, the Ministry of Agriculture and Lands will oversee their well-being during an emergency. It is hoped that animals needing medical care will be helped by local veterinarians volunteering their time, along with assistance from Noah´s Wish, a volunteer animal care organization that is currently reestablishing itself and CDART. While EP pet plans exist, at this point they are untried in the Victoria area. It is Knox´s hope that a full-scale mock disaster, including the necessity for pet assistance, will be held in the Lower Island area within the next two years. It is only through such testing that EP programs will be able to refine and improve pet operations. It is reassuring to know our EP pet programs will be ready. Can you say the same thing? 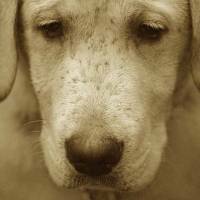 NOTE: This article was featured in the Pet Loss Care - Creating Memories Newsletter - would you like to automatically receive our newsletter via email? If so, sign up here!